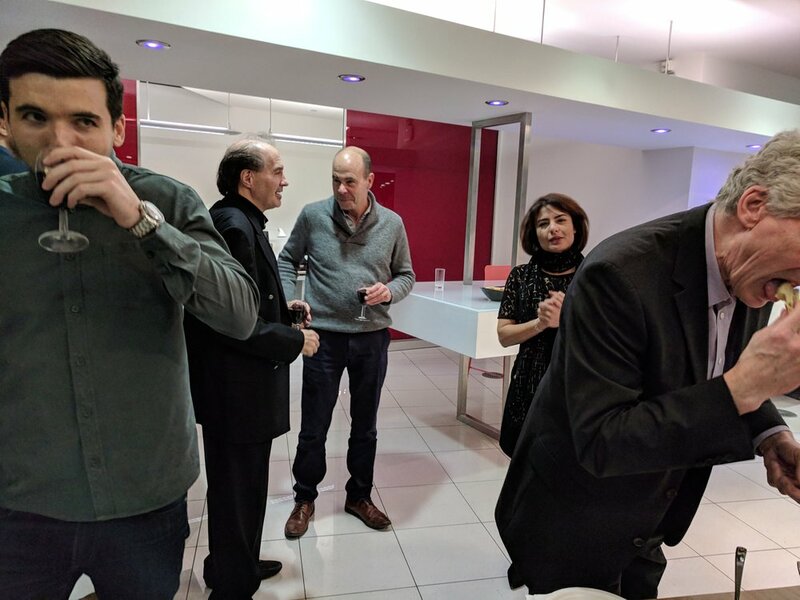 The AIA UK Chapter Annual General Meeting is a unique mixture of social evening, continuing education event and business meeting all in one. 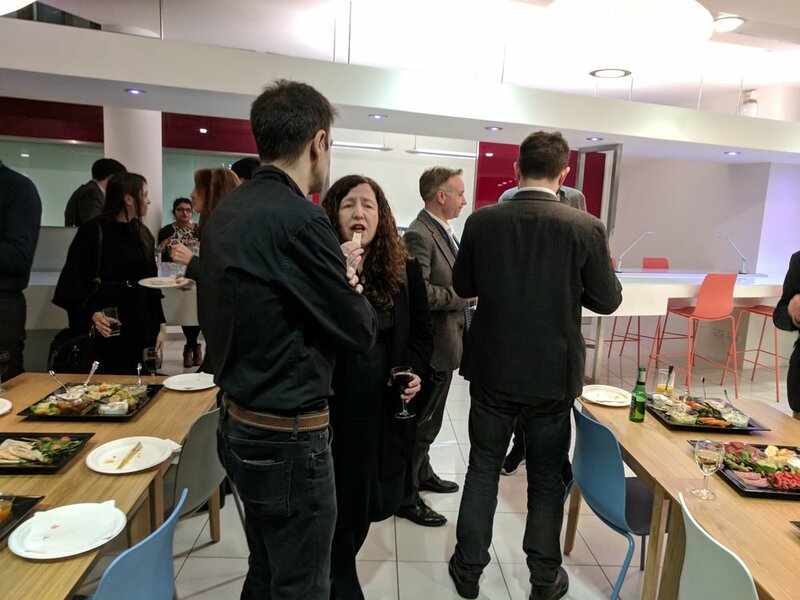 Following a tradition starting in the 1990s, this year’s AGM – held on Thursday 18 January 2018 – was hosted by our long-term sponsor, Herman Miller. Herman Miller’s generous hospitality before and after the business meeting made for a most pleasant evening. Prior to the meeting, Herman Miller’s representative, Bertie Wan Wyk, gave a talk on “Well Being and Social Ergonomics” as they relate to office environments. As ever, the Herman Miller talk was both entertaining and instructive. The formal part of the AGM dealt with approval of the 2017 Accounts and the election of the 2018 Board of Directors and Officers. 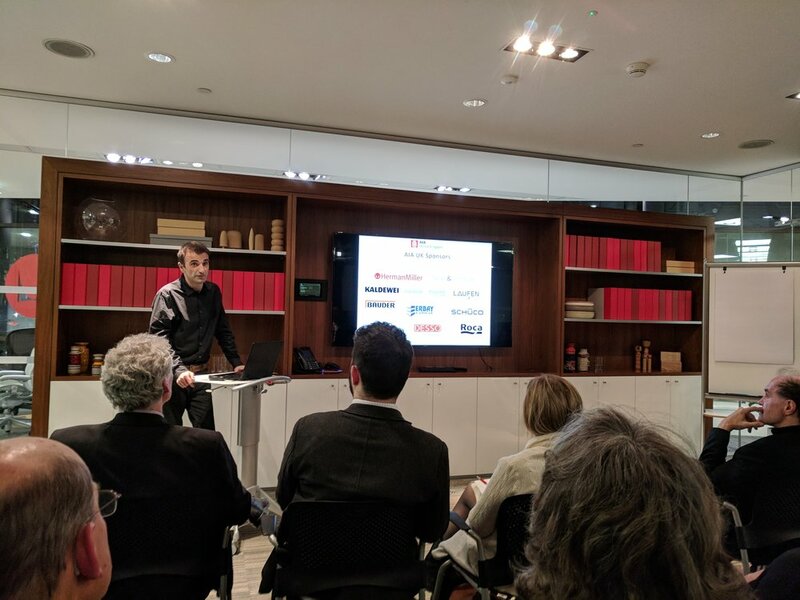 Additionally, the 2017 President, Fatos Peja Int’l Assoc AIA RIBA gave an overview presentation of the past year and the 2018 President, Alex Miller AIA, gave a preview of his plans for 2018. These presidential presentations as well as a summary of the 2017 Accounts, a review of Chapter membership and the list of Board Directors and Officers can be accessed through the link below to the AGM Minutes. According to the UK Chapter Bylaws adapted at last year’s AGM, the Minutes of the AGM must be presented to the overall membership for approval. If there are no relevant additions, comments or modifications within a month from this notification, the Minutes will automatically be approved. Please send any comments to secretary@aiauk.org.